Hello again and Welcome Back! We have a new authentic and very simple Thai recipe to share, and a few new items are in stock to tell you about. 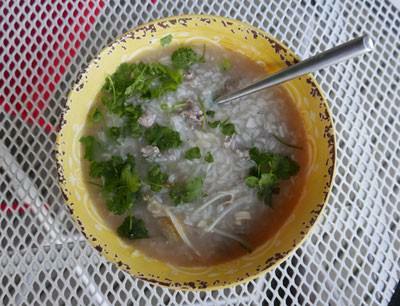 This is a very simple beef and rice soup using just a few ingredients, and it's a great meal to start the day. Lobo is well-known in Thailand, a trusted manufacturer of a wide range of ready-made cooking sauces (see below). Flying Lion is expensive and many people swear it's worth the high cost. This is their new small bottle. It's definitely a superior product that you can use with the confidence of knowing you paid for and received the best. Each candy packed in a modern foil packet. 9 candies per box. We just got more New Crop 2019 highest quality export grade in the new Royal Umbrella 5 lb bag. Packed in heavy duty plastic bag with resealable ziplock for convenience.